Now, if you (like one of my lovely followers that I bumped into the other week) thought I was a big, bald guy called Phill, I’m sad to say that I’m about to disappoint you. The truth is; I’m not bald, I’m not big and I’m not called Phill. Well, at least, I never used to be…. The truth is I’m only 5ft 2 (and a half) inches, I have lots of hair and well, umm, how can I say this…. I’m a woman. Is this all a bit too much to take in? I’m sorry. Maybe I should take it back a bit…. So, let’s return to that night in the kitchen. You know the night, the one where I was making the dinner and deciding to come up with a page to promote Caerphilly. Well, as I stood there (stirring the curry), it occurred to me that maybe it (my Facebook page) should have a name. So, I wrote down lots of words that came into my head when I thought of Caerphilly… Beautiful, castle, mountains, wild flowers, forests, wildlife, dragons, festivals, cheese etc. I then decided to come up with a name that would show all of this. But, what term would make people think of a medieval castle and forest green mountains at the same time? What kind of name could reflect the warmth of the people and the fun events that are held here? 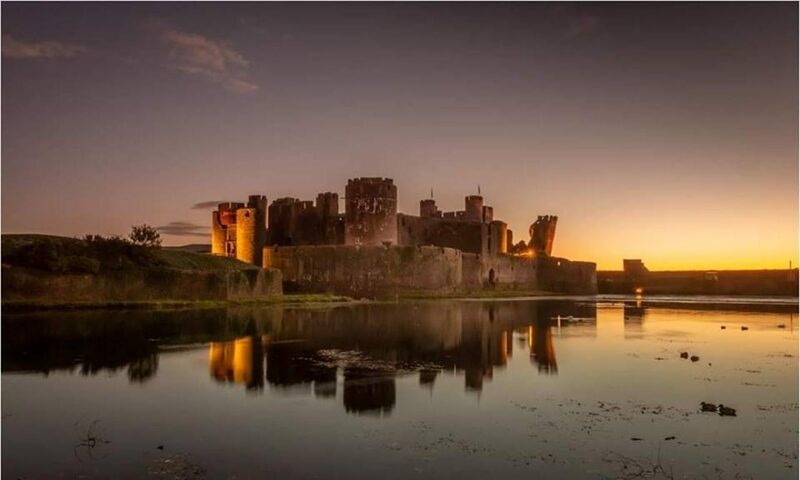 What name could show just how awesome Caerphilly is? Well, I thought and I thought and I thought. And then, I came up with… nothing. Turns out I’m not very good at coming up with names. In fact, if I’m honest (and that does seem to be the point of this blog), it turns out I’m diabolical at coming up with names. So, at this point, I gave up. I stirred my curry some more and poured myself a glass of wine. I then decided to go with something I’d heard before… A name that I liked, a name that I affectionately used for my chosen home, a name that I thought suited Caerphilly… And that is when (dear followers), that I decided to type in – The Big Phill! It’s not the most common name for Caerphilly I know, but it’s the one that stuck with me. With its big mountains, its big castle, its big tower, its big countryside and its big-hearted people; to me, Caerphilly was The Big Phill. The only problem is that it turns out that a lot of people, who were hoping I was a hunky, tall, bald man called Phill, will be awfully disappointed. Maybe I should get a mask? Or set up a dating app?